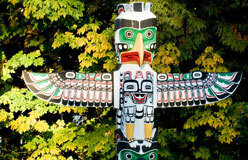 For thousands of years, the only people on this continent were Native Americans. 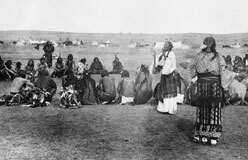 Their ancestors were Asians who had crossed a land bridge to the northernmost part of America and eventually spread south. 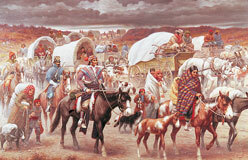 But today, the Native population of the United States is growing. 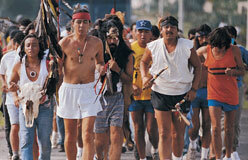 Modern Native Americans are a mixed group of people who walk in two worlds—the ancient world and the modern. 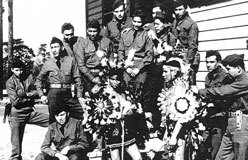 As groups, they are Wampanoag, Navajo, Iroquois, and Cherokee—to name a few. As individuals, they are artists, doctors, and teachers. They’re also spiritual healers and fancy dancers. Their children play basketball and shop at malls. 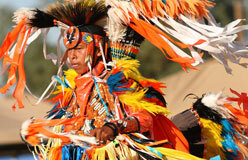 They also dress in traditional clothing and dance at powwows. 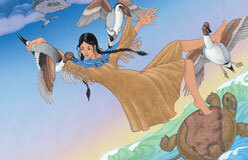 Native Americans are glad to share their culture with others. 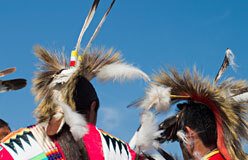 Come learn about Native America—past and present.